Laura Williams has worked in recreation management since 2004. She holds a master's degree in exercise and sport science education from Texas State University, as well as a B.A. in exercise and sport science from the University of Mary Hardin-Baylor. Setting up and participating in a weight loss challenge can help keep you motivated for the long-haul, but you want to make sure that the contest provides a fair experience for everyone. Because people will enter the contest with different body shapes, sizes, heights and weights, you want to make the playing field level by calculating percentage body fat lost or percentage body weight lost, rather than total body fat or weight lost. Set up specific times that participants must weigh-in or have their fat measured each week. For instance, set the weigh-in on Monday nights between 5:00 and 7:00 p.m. By setting up weigh-ins at a specific time, everyone is given the exact same amount of time between weigh-ins to workout. The standardization makes the process fair. Publish a schedule for all of the participants. This schedule should have pertinent information on group workouts, weigh-ins and start and end dates. With the proper information in hand, participants can't claim they didn't know about certain aspects of the program. Use the same scale or body fat assessor for each participant. Do not change the scale from week to week. The key to fairness is consistency in measurement tools. Different scales might have different calibrations, so opening up the field to different scales could provide an unfair advantage to some individuals. Weigh or assess the body fat of each participant on the very first day of the program. 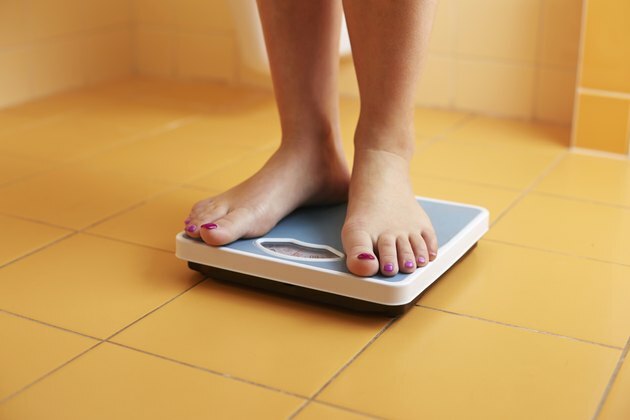 This baseline weight will be used each week to determine percentage body weight or fat loss. Record this information on the record sheet. Reassess the weight or body fat of each participant each week. This running tally will help keep participants engaged and competitive, trying to vie for the top spot. Subtract each week's weight or body fat percentage from the original weight or body fat. Divide the amount lost by the original amount to calculate the running weight-loss percentage. Publish the names of the top three to five individuals who have lost the most weight or body fat. This will encourage them to continue while giving other participants a goal to strive for without embarrassing them in the process by recording their lesser weight or fat loss. Split the men and women into two different groups. You don't have to do this, but often men see greater weight loss due to their increased metabolic rate and muscle mass. Sometimes splitting the men and women into two groups makes the women feel equally successful. Consider providing prizes along the way for hitting certain standards or goals. This way even those who are lagging behind will feel like they have something to gain individually for their hard work. Focus on individual success in addition to friendly competition. Many people are very clever when it comes to cheating at any competition. Have a plan in place for what to do if you discover people trying to cheat the system. What Are the Requirements to Become a Powerlifter?